This morning, I had my first taste of dulce de leche. I had been avoiding it because it came in a box that didn’t look very sanitary. But I decided to give it a try after Macarena said a restaurant serves very good dulce de leche pasty. Dulce de leche is a jam-like substance that is muddy brown but tastes of milky caramel. It’s quite nice as a bread spread but between you and I, kaya is much better. After breakfast, off to Spanish school I went. Class went well, we learned how to talk about the weather which is very useful as small talk. Same as yesterday, there was an after-school activity. 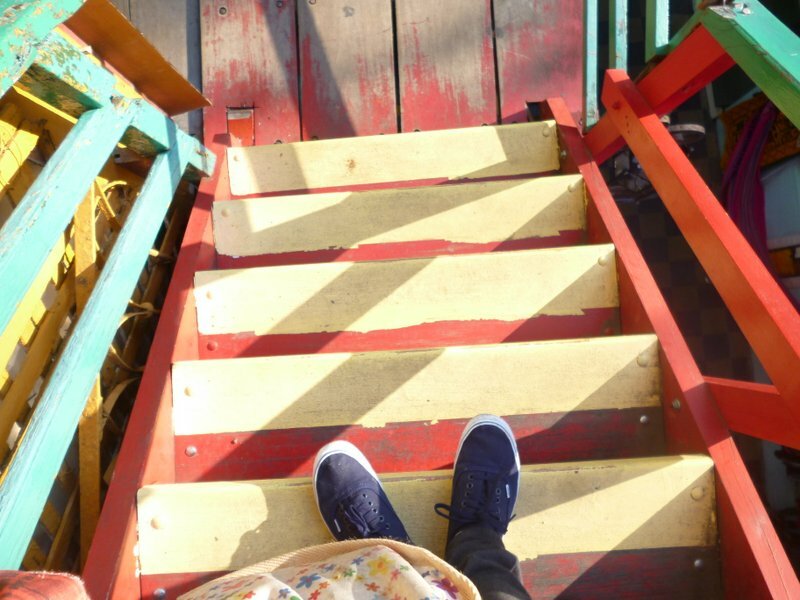 Today’s event was a trip to La Boca. Our guide was still Macarena. This time, we were given a sheet of paper with explanation of different important sites in La Boca. The whole sheet was in Spanish. Gulp. Macarena was around to help with deciphering the sheet. 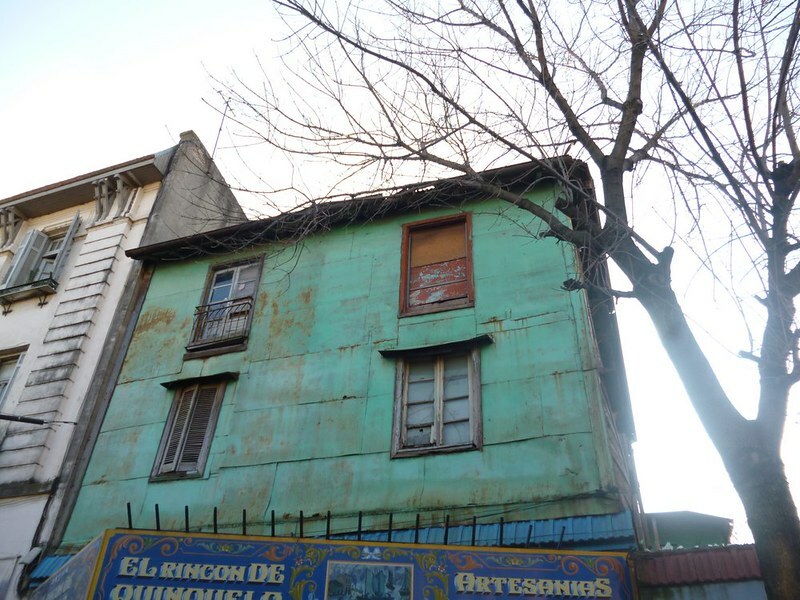 It’s good that I didn’t visit La Boca on my own because I wouldn’t have known the significance of important buildings. We started at the pier. The water was muddy and didn’t smell so good. 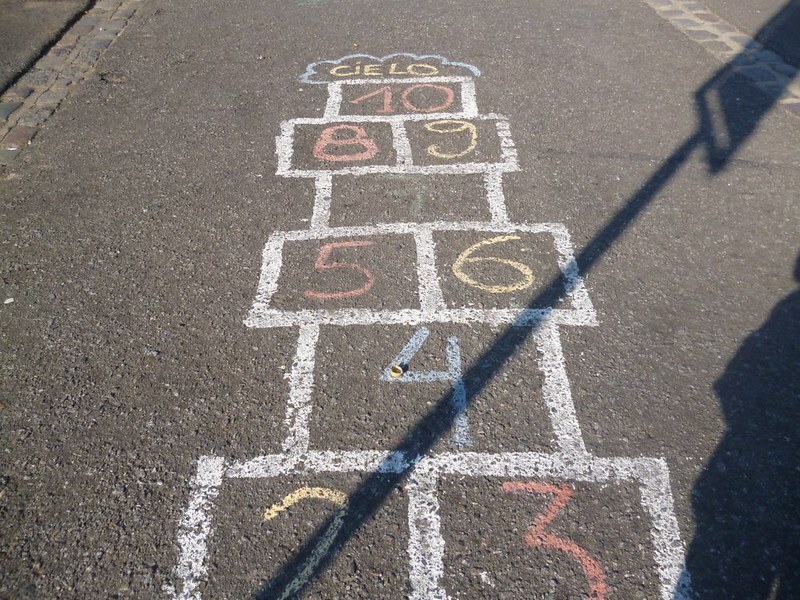 On the pavement, there were chalk-drawn games. One of the games was this box jumping game. Back in Malaysia, we call it 跳飞机(Translation: Jumping from [or is it on] airplanes). There was also a gigantic tic tac toe which requires people to stand in the little circles. It reminded me of Hogwart’s gigantic chess pieces. Our tour involved walking into one small lane, being stopped by touts to go sit in their coffee shops, looking at tango shows for tourists and lots of listening. One surprising thing was that one of the coffee place touts managed to figure out where I was from. It started out with the usual calls of “Ni hao. Annyeong hasseyo” which I ignore. OK. That’s a good deduction, I suppose. 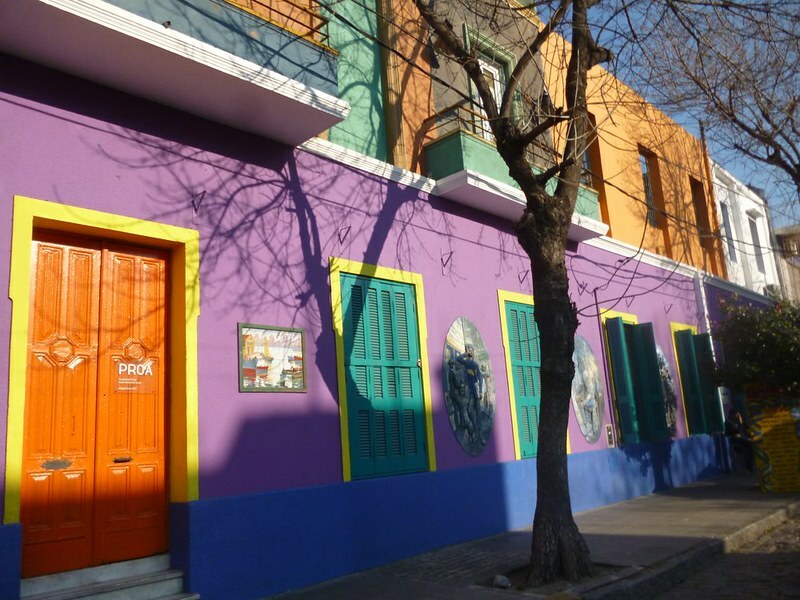 I’m terrible at recounting history so if you want a proper version, Wikitravel La Boca will be great help. 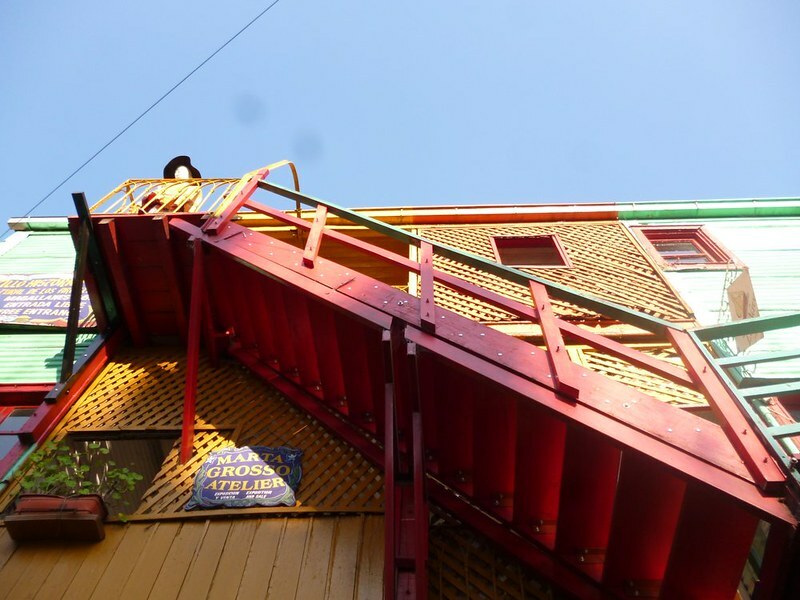 La Boca used to be the living area of immigrants who found work at the shipyard. They built their houses using left over materials from the boats. The colorful walls were the result of using leftover paint from ship. 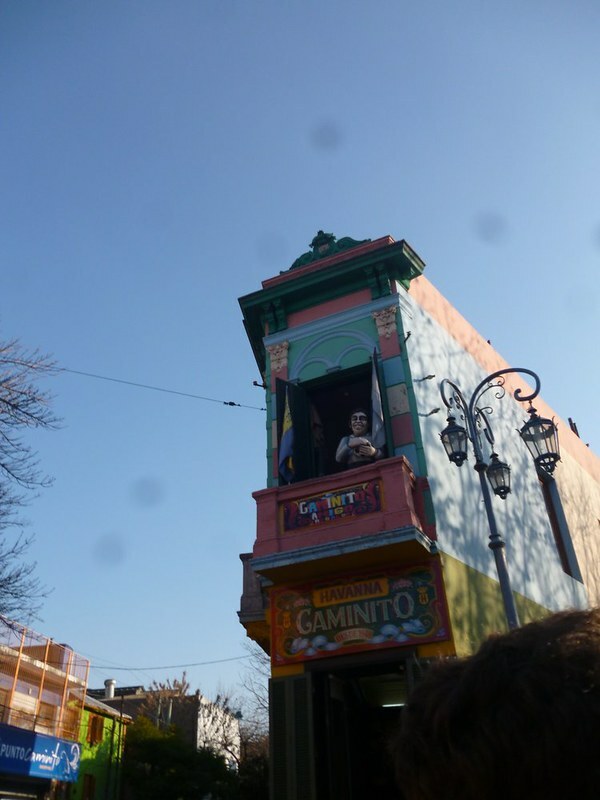 Writers and painted moved to La Boca, probably because it was rustic, and the place became a bohemian place. 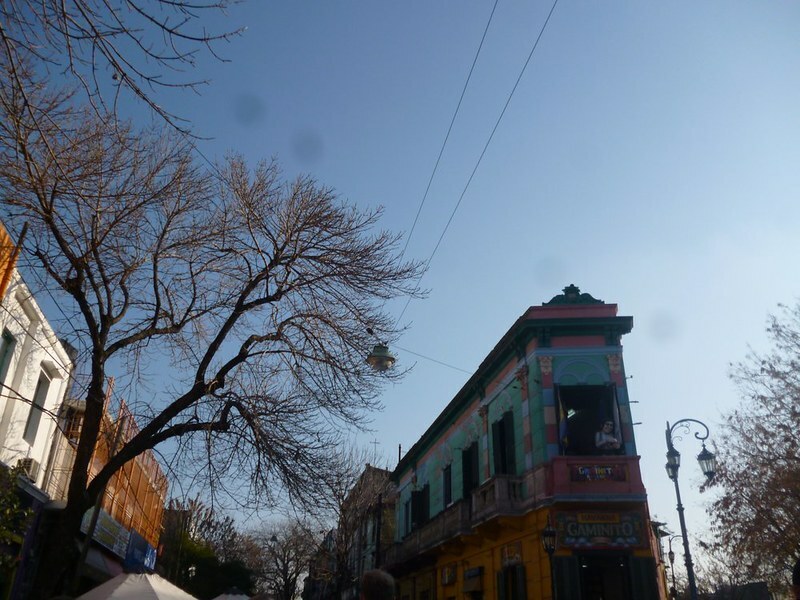 After La Boca, we took a bus back to the main city area. At night, I went to a tango show. I’ll tell you more in a separate post. 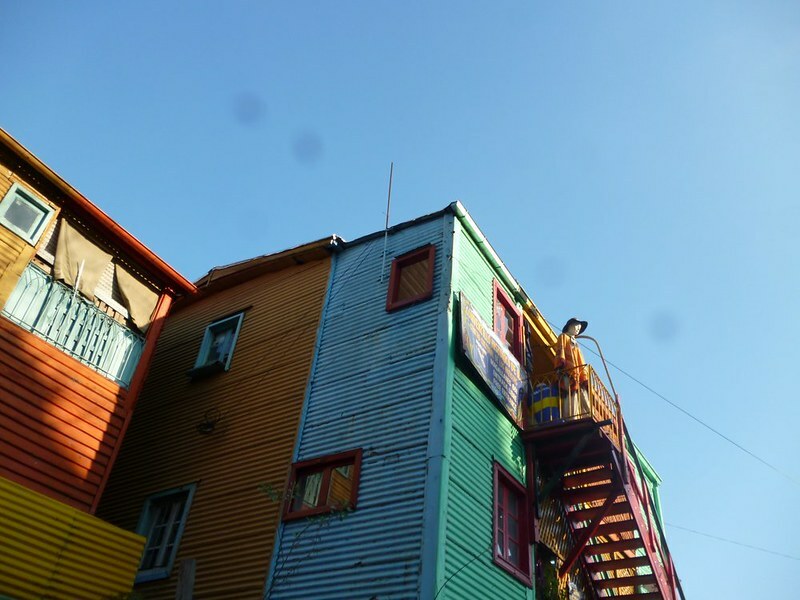 Would you paint the walls of your house like how they do in La Boca?